Words and Boundaries in a Secessionist Age Interactive course on 1850s by Lloyd Benson, Furman U. Life and liberty in America; or, Sketches of a tour in the United States and Canada, in 1857-8 1959 book by Charles Mackay . A journey through Texas; or, A saddle-trip on the southwestern frontier; with a statistical appendix. 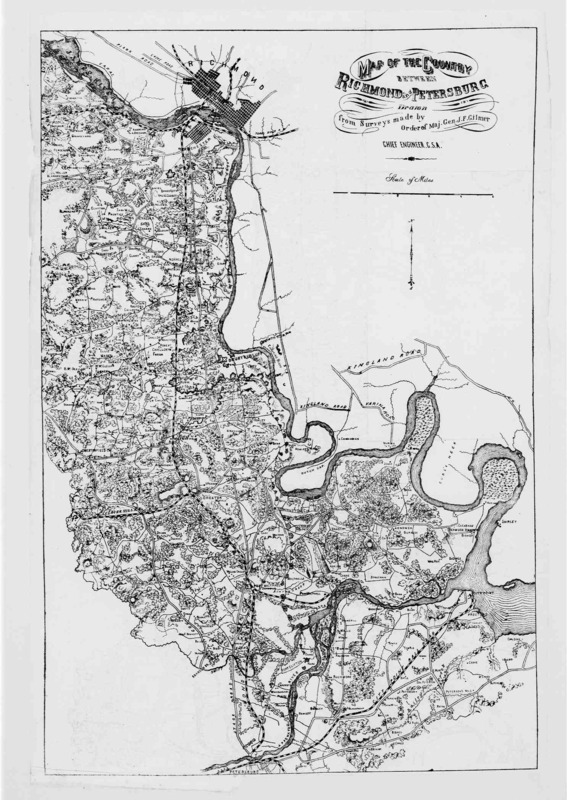 outstanding 1857 travel book by Frederick Law Olmsted. Samuel May Anti-Slavery Collection 300,000 pages of primary sources & pamphlets at Cornell U.
Thomas C. Buchanan. "Review of Keith P. Griffler, Front Line of Freedom: African Americans and the Forging of the Underground Railroad in the Ohio Valley," H-CivWar, H-Net Reviews, January, 2005. "The Movement for Slavery Extension," by Nicolay and Hay (1889) Nicolay and Hay were Lincoln's aides during the war, and wrote one of the great histories of the war in their 10 volume biography of Lincoln. Chapters appeared in Century magazine. Eugene H. Berwanger. "Review of Nicole Etcheson, Bleeding Kansas: Contested Liberty in the Civil War Era," H-CivWar, H-Net Reviews, September, 2004. Virginia & Pennsylvania in the war years from "Valley of the Shadows" project; original documents from two localities. 1861 Crisis class exercises, from Richard Latner Tulane U. Gone With the Wind great 1938 novel of wartime Georgia; don't miss the movie! Kenneth W. Noe. "Review of Robert R. Mackey, The Uncivil War: Irregular Warfare in the Upper South, 1861-1865," H-CivWar, H-Net Reviews, January, 2005. Virginia & Pennsylvania in the war years from "Valley of the Shadow"
Religion & Ethnicity Catholic Enclopedia, 1913 ed full text of all 11,000 articles; strong on state and city histories; Indian tribes. Geschichtstheatergesellschaft 1848 E.V. A German site devoted to German '48ers (refugees from the failed revolution of 1848), who played a major role in the war. Mostly in English. Our Women in the War by The Weekly News and Courier of Charleston S.C.
Marten has also just published a vivid collection of material from children's magazines published during the Civil War, Lessons of War: The Civil War in Children's Magazines (SR Books, 1999). He worked out his ideas for The Children's Civil War in a series of shorter pieces: "For the Good, the True, and the Beautiful: Northern Children's Magazines and the Civil War," Civil War History, 41 (March 1995): 57-75; "Stern Realities: Children of Chancellorsville and Beyond," in Gary W. Gallagher, ed., Chancellorsville: The Battle and Its Aftermath (University of North Carolina Press, 1996), pp. 219-43; and "Fatherhood in the Confederacy: Southern Soldiers and Their Children," Journal of Southern History, 63 (May 1997): 269-92. Other important studies of children's lives during the Civil War era include Rebecca J. Scott, "The Battle over the Child: Child Apprenticeship and the Freedmen's Bureau in North Carolina," in Growing Up in America: Children in Historical Perspective, eds. N. Ray Hiner and Joseph M. Hawes (University of Illinois Press, 1985), pp. 193-207; Elizabeth Daniels, "The Children of Gettysburg," American Heritage 40 (May-June 1989): 97-107; Peter W. Bardaglio, "The Children of Jubilee: African-American Childhood in Wartime," in Divided Houses: Gender and the Civil War, eds. Catherine Clinton and Nina Silber (Oxford University Press, 1992), pp. 213-29; and Catherine Clinton, "Orphans of the Storm," in her Civil War Stories (University of Georgia Press, 1998), pp. 42-80. Official Records, vol. xxxii. part 1. Ft Wagner, 1863 as shown in movie "Glory"
James S. Baugess. "Review of John W. Brinsfield, William C. Davis, Benedict Maryniak, and James I. Robertson, Jr., eds, Faith in the Fight: Civil War Chaplains," H-War, H-Net Reviews, September, 2004.
location of battles Very useful maps of each state, with brief reports of each battle. Recommended starting point. Official Records complete 127 volumes. This is the major primary source for all battles. Jeffrey C. Hall. "Review of Steven E. Woodworth, Beneath a Northern Sky: A Short History of the Gettysburg Campaign," H-CivWar, H-Net Reviews, June, 2004. General Butler in New Orleans. History of the administration of the Department of the Gulf in the year 1862: with an account of the capture of New Orleans, and a sketch of the previous career of the General, civil and military. by journalist James Parton 1864. 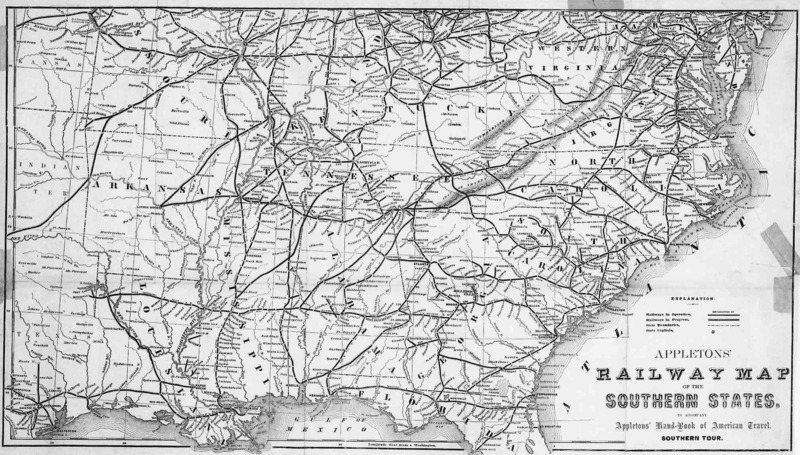 Sherman's March Through South Carolina (1865) This was a continuation of the March through Georgia, and even more devastating. Victoria E. Ott. "Review of Jacqueline Glass Campbell, When Sherman Marched North from the Sea: Resistance on the Confederate Home Front," H-SAWH, H-Net Reviews, July, 2004. Grant on campaign Memoirs ch 30-38. Naval Operations don't miss chapters 8 and 9 of Alfred Thayer Mahan's biography of David Farragut. Richard L. DiNardo. "Review of Edward G. Longacre, Lee's Cavalrymen: A History of the Mounted Forces of the Army of Northern Virginia," H-CivWar, H-Net Reviews, August, 2004. David R. Dean. "Review of Mark Grimsley, And Keep Moving On: The Virginia Campaign, May-June 1864," H-CivWar, H-Net Reviews, February, 2004. Steven E. Woodworth. 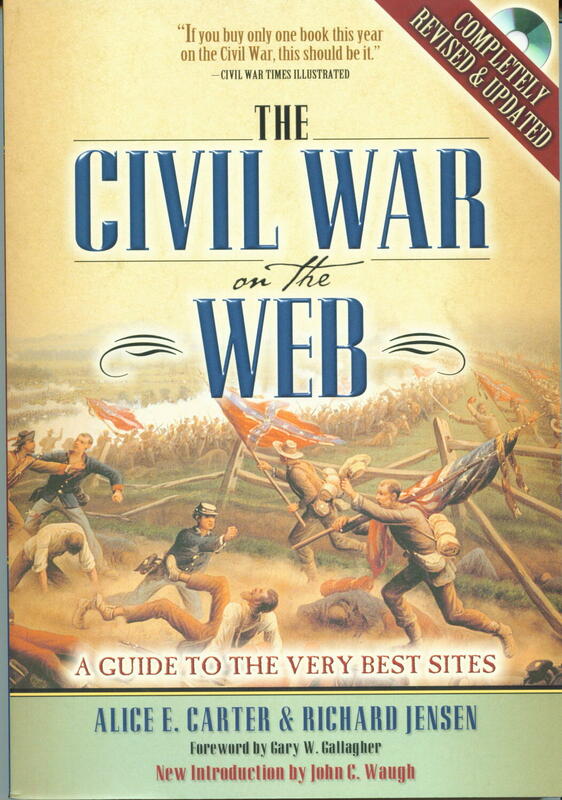 "Review of Peter Cozzens, ed, Battles and Leaders of the Civil War, Volume 6," H-CivWar, H-Net Reviews, December, 2004. David Work. "Review of Eric J. Wittenberg, Little Phil: A Reassessment of the Civil War Leadership of General Philip H. Sheridan," H-CivWar, H-Net Reviews, January, 2005. The political history of the United States of America during the period of Reconstruction, (from April 15, 1865, to July 15, 1870) including a classified summary of the legislation of the Thirty-ninth, Fortieth, and Forty-first Congresses. With the votes thereon; together with the action, congressional and state, on the fourteenth and fifteenth amendments to the Constitution of the United States, and the other important executive, legislative, politico-military, and judicial facts of that period. Copyright (c) 2006 Richard Jensen. This Guide was prepared with support from the National Endowment for Humanities, the Center for Global Partnership of the Japan Foundation, the University of Illinois, RPI, the Gilder-Lehrman Foundation, the Luce Foundation, and the Robert H. Michel Civic Education Grants sponsored by The Dirksen Congressional Center. Scholars are invited to post the complete Guide to campus WWW sites and distribute it to students.